Geomatrix is post-production facility for Martin West’s newest documentary film, airing on Connecticut Public Television. 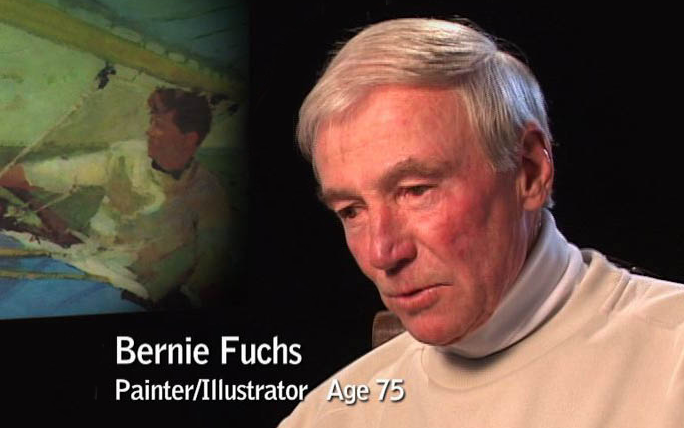 Years In the Making chronicles the careers and experiences of 35 professional artists, all between the ages of 70 and 94 years old. Some document how the Great Depression, World War II, the Holocaust and the Civil Rights movement influenced their art and their lives. Others talk about confronting illness and aging with creativity, finding new ways to express themselves. The artists were filmed in their studios, discussing their styles, techniques and creative visions. Narrated by Keir Dullea with music composed by Paul Alan Levi, this Martin West production includes a variety of artists including painters, sculptors, mixed media artists, illustrators, graphic designers and photographers who have spent decades nurturing their talents and creating works that have gained national and international recognition. Geomatrix’s involvement with filmmaker Martin West began in 2002 with the post-production of his previous film A Gathering of Glory. Geomatrix provided the on-line editing, sound mixing and compositing on the most recent production. Years In the Making has already garnered Awards including the Rockport Film Festival and Skyfest II in Ashville NC. Director, Martin West, was named “Best Connecticut Filmmaker of 2009 by the Connecticut Film Festival. The program premiers on CPTV on November 24, 2010 at 10:30 PM, with rebroadcast on January 6, 2011 at 8 PM. There is a special screening at the Silvermine Guild Arts Center on January 23, 2011 at 4 PM.